Listening to Dawn Lambeth’s rhythmic, joyful jazz vocals, one would be surprised to learn that she was initially had no plans to become a musician. Her unique vocals emphasize simple, but pure jazz and swing from the 1920’s, 30’s, and 40’s. Her humble, gentle countenance belies the fact that she has received admiring reviews from jazz historians and hosts of NPR music programs, been compared to such greats as Jo Stafford and Maxine Sullivan, and enjoyed national and international airplay. Dawn grew up in upstate New York where she started taking traditional piano and violin lessons around age 10. In junior high school, she started singing in school and jazz choirs, as well as musicals at her church. In spite of a love for music, she didn’t feel confident enough to major in music and instead pursued a Liberal Arts degree with a music focus at Boston College. Since she was not a music conservatory student, her musical studies were primarily classes like jazz improvisation and music theory. She focused on piano, having not yet found her singing voice and style. After graduating from college, Dawn had good friends who were musicians who encouraged her to be a “lounge singer” in a small band on a cruise ship. She didn’t find the music the band played to fit her style, although she admitted she had not yet found the musical genre she would eventually embrace. After six weeks performing, the cruise ship crashed (then very uncommon), which she took as “a sign” concluding that she was done with the music business. Seeking a more marketable degree, Dawn returned to college to study computer science. While attending college in Pittsburg, Pennsylvania, “the same musician friends” asked Dawn to play piano in their salsa band. They typically performed two to three times a week for dedicated salsa dancers. 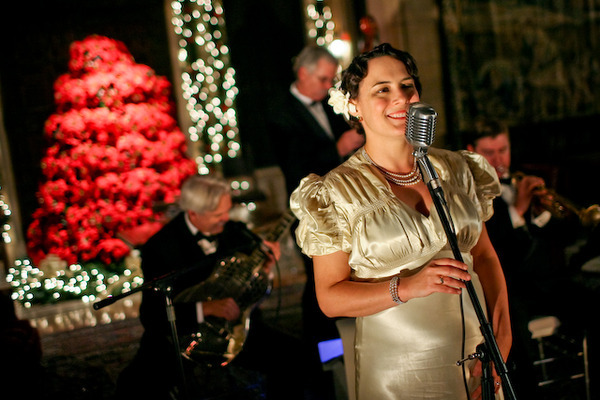 Through those musicians, she became friends with band members in a New Orleans style jazz band. When their regular pianist went on tour with Leon Redbone, Dawn would substitute. As the group atmosphere was “relaxed”, all the musicians, regardless of experience, sang, including Dawn. This was when she developed her passion for 1920s and 30s American music, which led to her searching for both familiar and lesser known songs. At the last minute, in 2000, Dawn was invited to substitute for a musician who couldn’t make it to a music festival in the Monterey area. There she met her future husband, Marc Caparone, who was subbing on trumpet in another band. His regular “gig” was working at the family’s Paso Robles Caparone Winery where he and his father are winemakers. Dawn relocated to the Central Coast in May 2001 at which time she began performing at West Coast festivals with bands she knew from Pittsburg (Pennsylvania) and with her husband. Once on the Central Coast, Dawn also started developing her solo act. She started playing piano and singing at GiGi’s (now closed) during Thursday night Farmers’ market in San Luis Obispo. She performed regularly at the former Vinoteca wine bar in Paso Robles to admiring fans. Dawn’s elegant, yet personal style gives the listener the feeling of being part of a small, intimate audience. Besides her solo performances, she sing and plays piano with she and her husband’s band, The Usonia Jazz Band, which usually consists of Dawn, her husband, Marc on cornet and occasionally bass, his father, Dave, on trombone, Mike Swann on bass, and often Karl Welz on saxophone. As a soloist and in Usonia, Dawn has performed in a variety of venues including at Hearst Castle, the historic Casino Ballroom on Catalina Island, and Smithsonian Institution in Washington, D.C. as well as local bars, art shows, and private parties including weddings and wineries. Her most memorable experience was performing as one of the select invited musicians at a New Orleans style jazz festival in Osaka, Japan. 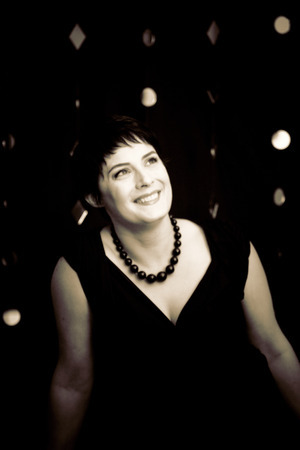 Dawn continues to play select local venues after the births of her two young children. She is scheduled at Pear Valley Vineyard, which describes her as a “favorite” in their summer concert series, on September 19 from 5:30 p.m. to 8:30 p.m. On Sunday September 22, she will be opening the North SLO County Concert Association’s 2013-2014 concert series at Trinity Lutheran Church in Paso Robles at 3p.m. Dawn noted her new favorite venues are private intimate performances at people’s homes or other small gatherings, such as potlucks or dessert concerts, where family and friends can relax and enjoy her music. Dawn’s upcoming performances and contact information can be found at www.dawnlambeth.com.